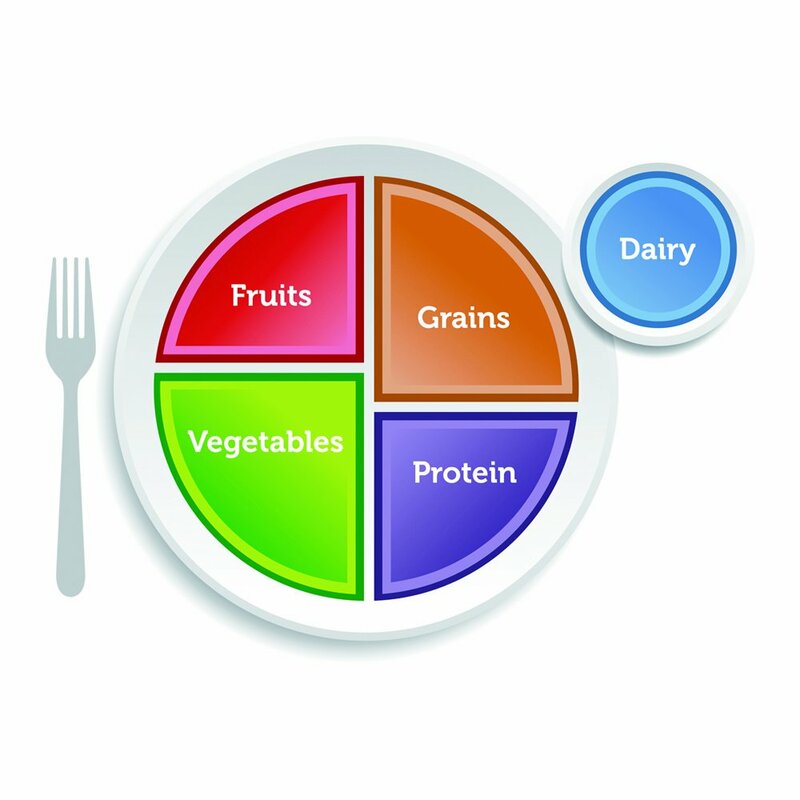 This divides our plates into four sections: fruits, vegetables, grains, and protein. It helps us to visualize what and how much to eat without eating too much. Dairy is also a part of our diet, and we should try to include about three cups of low-fat dairy in our daily diets. If we make our plates look like this every time we eat (and don’t pile the food too high), we can keep our portions in check. Another way to control our portions is to be mindful of serving sizes. Many people don’t know that many packages and containers contain more than one serving. Did you know that 1 pint of Ben and Jerry’s ice cream has 4 servings? I am the first to say that I almost always have at least 2 servings when I sit down to indulge in my favorite dessert. There is a reason serving sizes are created, and we should try our bests to keep within the established recommendations. Eating small snacks can help us to maintain our intake during meal times. Also portioning food into smaller amounts before eating can help to reduce the amount of food eaten at one time. When food is not at our fingertips, we are less likely to overeat. Furthermore, we should be aware of the serving sizes for different foods and food groups. For example, 3 ounces is the recommended portion of protein including poultry, beef, and fish. I know what you are thinking. What exactly does 3 ounces look like? The image below shows hand symbols that can be used to determine how much food to eat. Entry filed under: Uncategorized. Tags: calories, plate method, portion control, serving size. Bake…Don’t Fry! What Can You Do With Your $2 Bag?